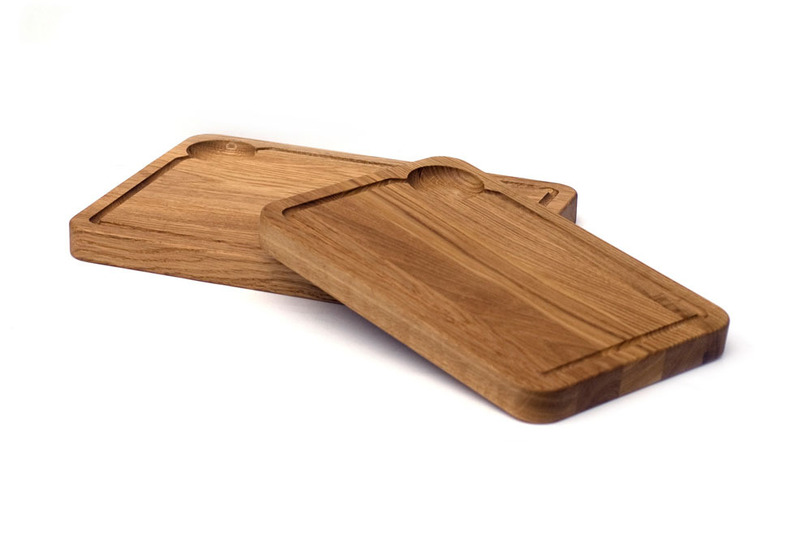 This rectangular grooved steak plate is etched from a solid block of oak. Additional features include a collection pool to trap excess liquids. Wipe clean with a damp cloth and soak in oil from time to time.